The 2010 Langley Cruise in is canceled, but not over. It's simply been put on hiatus, says Langley Cruise-in President Riccardo Sestito. 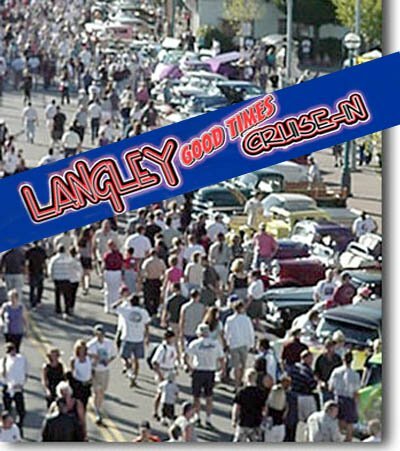 The Langley Cruise In, one of the best and largest classic car shows in North America has been canceled for 2010. Scheduled for Sept 12,2010 at Langley British Columbia, Canada, the show will be missed by car enthusiasts from all over North America. Growing from a few hundred cars in 1997, the Good Times Cruise in has grown to become one of the largest and best, with over 1,500 cars registered and over 100,000 car enthusiasts attending. With it's growing success, this classic car, hot rod, and custom car show has become more difficult to produce,even with it's huge number of volunteers. As usual, liability issues and the acts of a few nitwits have put a damper on the show. But we've been assured that the show will go on. As I noticed even a few weeks ago at a local Mustang Car show, many local enthusiasts haven't heard the news and that's why I felt it was important to get the message out. It's especially important for those who may have not yet heard and were planning to travel from across the continent to show their great classics and hot rods or were planning on spending some hard earned holiday days checking out this incredible show. The Langley Cruise in committee is actively meeting with the city of Langley and is confident that they'll be back next year with some changes and an even better show than ever!